Studies show that human contact is just as powerful and important to the recovery of babies in the neonatal intensive care unit (NICU) as the medical care they receive. This is why daily kangaroo care, or skin-to-skin contact, is so important, especially for premature babies who have not fully developed. Babies who are born at 27 weeks and are too little to hold can benefit from hearing your voice and holding a finger. In 2018, we will provide more than 45,000 days of parking to more than 2,000 families. That’s over 1,000,000 hours for parents to kiss their baby’s forehead and hold their tiny fingers. Providing complimentary parking for families with babies in the NICU allows children to be touched and held so they can heal faster, grow stronger, and have a better chance at life. It gives families time to be together, to comfort and love each other, as every family should when every minute matters. Learn more about the financial impact of our program and how we bring families together. 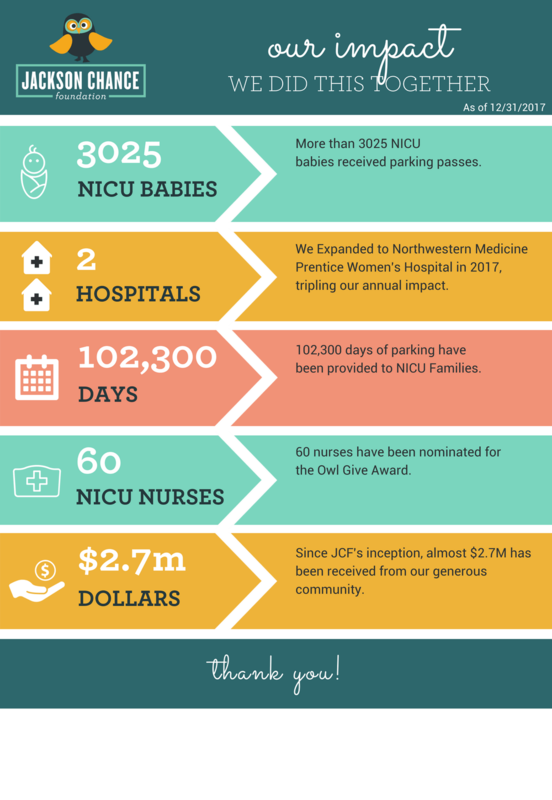 See the impact we’ve had on NICU families since our inception in 2012.